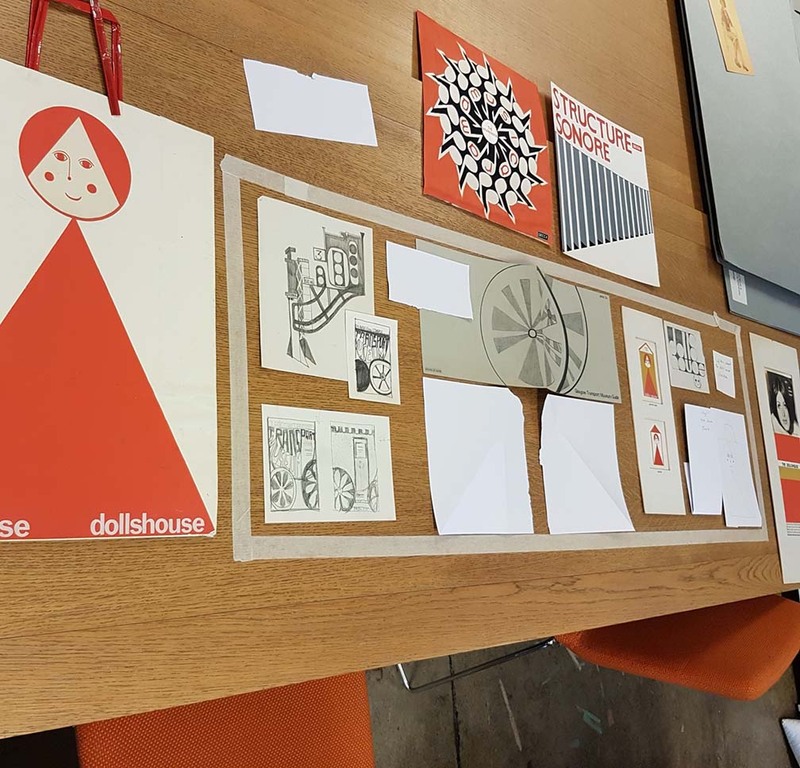 Jennifer Lightbody is back on the blog to tell you all a little bit about the Cohort Day she hosted for the other Cohort Three trainees part of the Opening Up Scotland’s Archives programme and how this ties in with her Audio Visual Project! 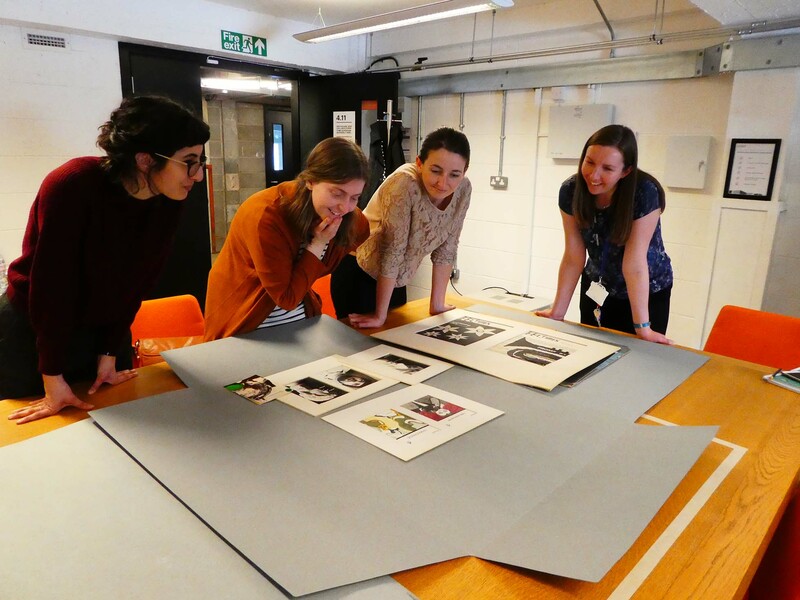 As part of the Skills for the Future traineeship, each organisation hosts the other trainees for a day visit, showing them round our collections, telling the other trainees about our projects and often undertaking an activity based around the archive material. 17th May was the turn of GSA to host five of the other trainees, and we spent the day between campus and The Whisky Bond, at the Archives and Collections. One theme of our visit was Exhibiting Archives, and the factors that need to be taken into account when setting up a display. This includes what material is to be used, layout, text (including labelling and description) plus considerations such as security and environmental conditions. To get us all thinking about exhibiting, we visited the Mackintosh Furniture Gallery and the Window on the Mackintosh permanent exhibition in the Reid building plus the temporary Ted Odling library display, getting a chance to see the displays and exhibitions but also think about the factors which need to be taken into account when curating them. Susannah presented on why we need to ensure each of these things is done correctly, to preserve the archives for current and future generations, whilst ensuring a positive visitor experience. The format worked well as, even though I had seen these displays before, it made me think about them in a totally different way plus we got to show off our collections to my contemporaries! 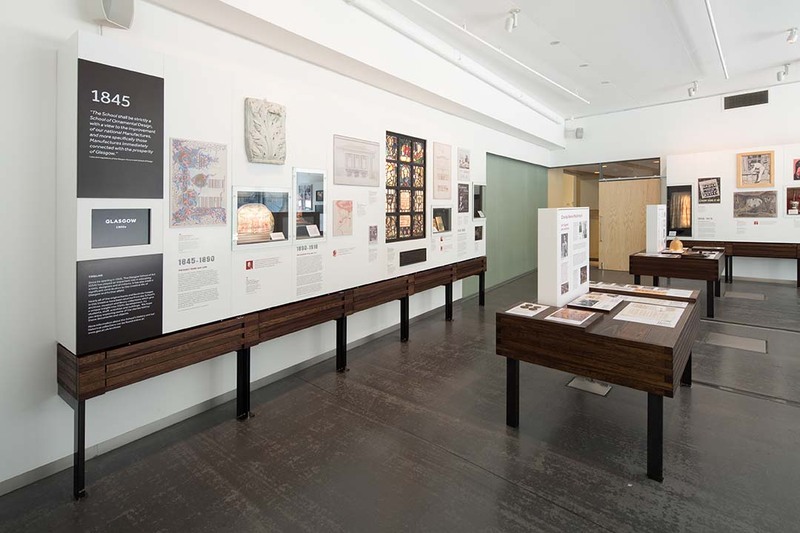 GSA Window on Mackintosh exhibition, © McAteer Photograph. Image courtesy of Glasgow School of Art’s Flickr website. I gave an overview of my AV Project, showing one of the films to ensure everyone else was singing 80s songs all day… The discussion around this presentation was really useful, to get the perspective of those not involved in the work, and also to draw on others’ experiences of copyright for sharing our material online. 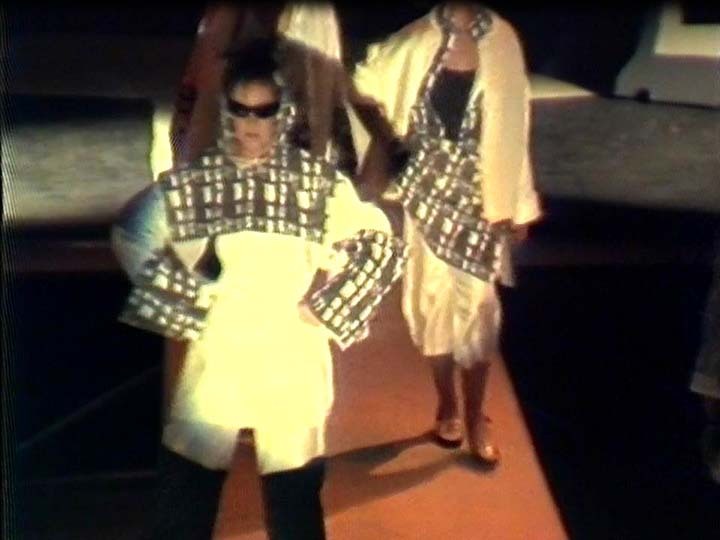 Stills from fashion show films from 1984 and 1986. Next was a visit to The Whisky Bond to show everyone the range of material we hold in our collections. I feel like I’ve only scratched the surface of what we have, so doing a walk round with Cat and finding out even more was great. We showed a range of textiles, which really are gems in our collection and so different from other archives. We definitely gain from having archives AND collections together. Finally, we put the aesthetic skills of the trainees to the test, by getting them as two teams to mock up library displays. 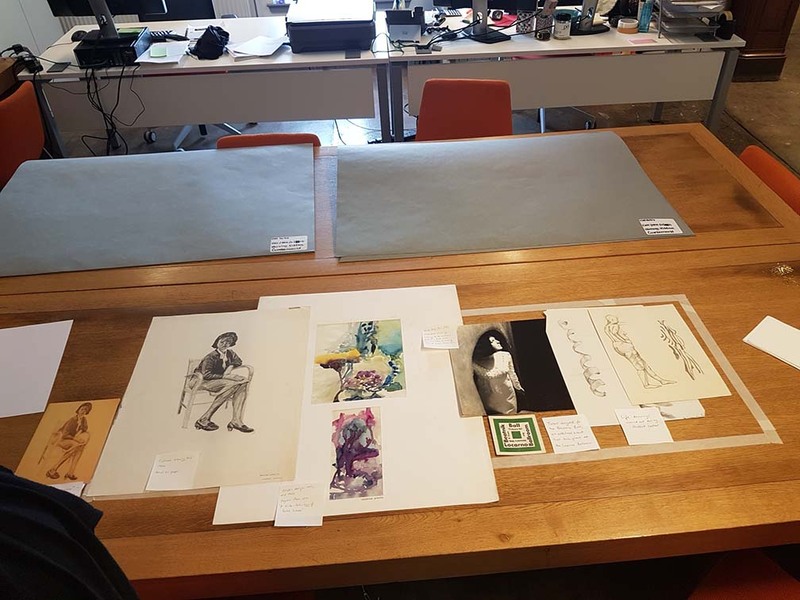 We used the Lindsay Winning collection, with a huge variety of graphic design material and life drawings, plus photographs and even a dress designed and made by Lindsay. Lindsay was a student under Ted Odling, so using her material tied in well with the display Cat and I set up earlier this month. 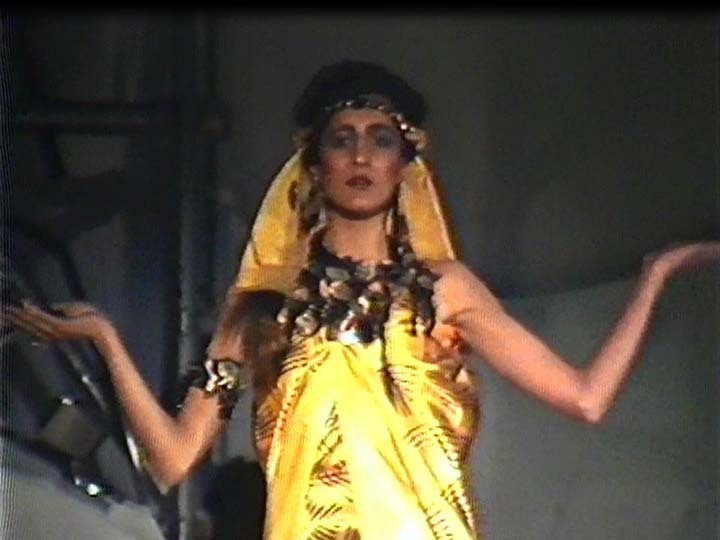 Each team was given free reign from the material within the collection and the resulting displays looked really eye-catching. Our plan is to use these mock-ups for future displays – as you can see from the pictures, they showcase the variety of Lindsay’s work. Hopefully everyone got a real flavour of the variety of material we hold, and found it an interesting day! Trainees deciding which Lindsay Winning material to include in the display. Mock-up displays generated by the trainees – surrogate copies can be used in some cases where material is too large to fit in the case.